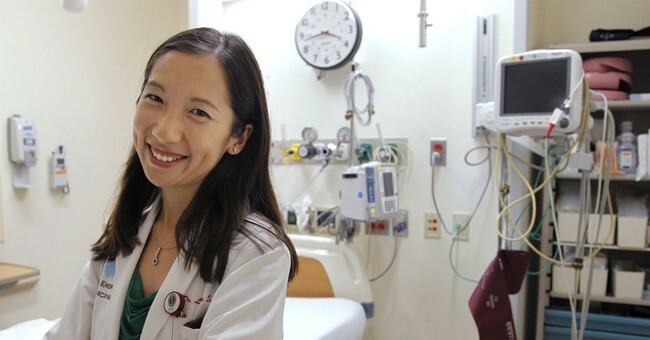 Planned Parenthood’s new president Dr. Leana Wen told CNN’s Christiane Amanpour Monday that she rejects the “pro-choice” and “pro-life” labels. She claimed that the term “pro-choice” wasn’t a good label because communities of color face “dramatic barriers” to choice. “I say that we should all have the freedom to exercise our own choice recognizing that that choice is predicated on privilege and that’s why we need to move beyond these labels of ‘pro-choice’ or ‘pro-life’ because pro-choice implies that everyone has equal access to choice when we know that that’s not true,” she said. “Wealthy people of privilege have been able to make choices when communities of color, communities that are low income have faced dramatic barriers to care and systematic racism,” she concluded. It should be noted that Amanpour did not follow up to ask Wen about the matter of when human life begins or why she thinks those opposed to abortion call themselves "pro-life." Wen's predecessor Cecile Richards claimed once in an interview that the question of when life begins is not “relevant to the conversation” of abortion but, when pressed, said that “for her” life began at delivery. Despite the fact that Wen is taking the helm of the nation’s largest abortion provider, she managed to avoid using the term abortion in both of her interviews with CNN and CBS Monday. Planned Parenthood performed 321,384 abortions just over this past year, according to their latest annual report.